We really enjoyed our stay in the apartment. 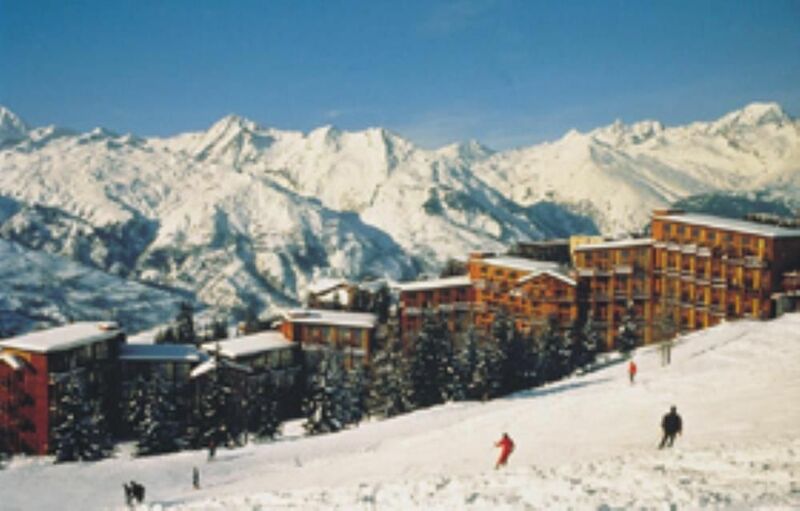 The location was excellent so you only have to walk down 5 steps to be able to ski in and out of the apartment and it was a very short walk into the main Les Arcs resort - the free bus also drops you very close. The cutlery and crockery provided was perfect and the dishwasher meant no washing up for the week. The apartment is very well maintained and was very clean on arrival. There is a good bathroom with plenty of hot water for bath/shower (bring your own sheets/towels). The apartment was never cold. To avoid confusion for other people a key is required for the lifts which you are given alongside the apartment key on arrival. The check in process was easy at the agency. We will definitely stay there again if we revisit Les Arcs. Appartement fonctionnel bien situé avec départ/arrivée ski aux pieds. Épicerie et location de skis au bas de la résidence, située dans un quartier calme. Cuisine récente, vaisselle et ustensiles en suffisance, lits corrects. Seuls petits bémols: absence d'un freezer et terrasse impraticable car non couverte. L'insonorisation pourrait également être meilleure (bruit via le conduit d'aération) mais cela n'est pas gênant pour la nuit. appartement tres bien placé mais sans soleil. Très bonne situation, skis aux pieds, immeuble tranquille, proche village. Super appart, très bien situé! Jolie décoration. Je recommande!